According to CARE, the current situation in Yemen has left 80 percent of the population to become derived from life-sustaining commodities and basic services, thus meaning over 20 million Yemen citizens are living in pitiful conditions, unsuitable for human survival. 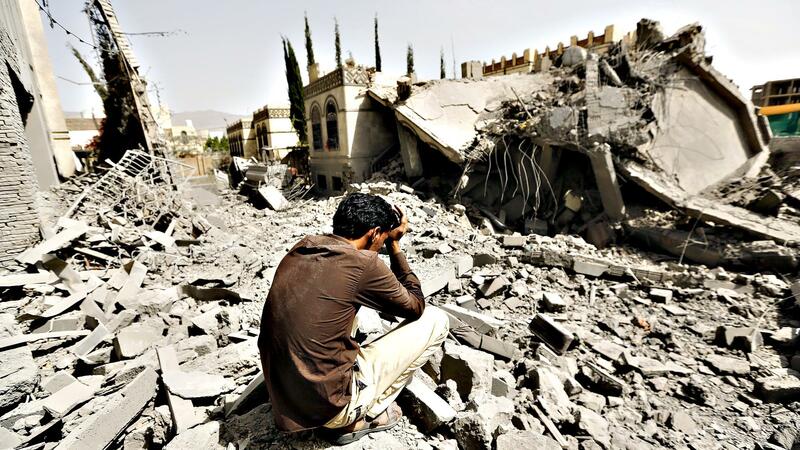 A senior professor of international law at Yale Law School underlined that the US continued sales of arms and military equipment to the Saudi-led coalition which were used in the Yemen war is a clear instance of human rights violation. The United States has provided billions of dollars in arms sales to countries participating in the Saudi-led coalition that is fighting a war in Yemen against the Houthi-Saleh alliance and contributing to one of the world’s worst humanitarian crises, Oona Hathaway, Director of the Center for Global Legal Challenges at Yale Law School, wrote in a report, in cooperation with a number of Yale Law School students, in Just Security website. She added that efforts to halt US assistance to the Saudi-led coalition, led by members of Congress concerned by civilian casualties of coalition airstrikes, failed. Most recently, sales were temporarily halted when Sen. Bob Corker (R-Tenn.), chairman of the Senate Foreign Relations Committee, placed a hold on sales of lethal military equipment to all members of the (Persian) Gulf Cooperation Council (including Saudi Arabia), in an effort to encourage them to settle internal disputes unrelated to the conflict in Yemen. But Corker lifted that hold on February 8, opening the door to new sales once more. Of the authorized purposes in the AECA, the most plausible for which the Saudis are using weapons purchased from the United States is “legitimate self-defense.” (Fugitive) President Hadi of Yemen requested the Saudi-led coalition’s assistance for the purpose of collective self-defense under Article 51 of the UN Charter. The mere request, however, does not end the inquiry. The question is whether the Saudi-led coalition has, in fact, acted consistent with Article 51 in the collective self-defense of Yemen. The US State Department’s Report on Human Rights in Saudi Arabia in 2016, prepared precisely to assist in determinations of eligibility for assistance under the FAA, found large numbers of human rights abuses. Most abuses found in the report were not connected to Saudi Arabia’s actions in Yemen, but the ABA report rightly notes that the FAA does not require a causal link between the violations of international human rights and provision of military assistance. The challenge levied by the ABA report to the sale of weapons to the Saudi-led coalition under the FAA is substantial enough to require a considered response. Thus far, the US government has provided none.